Your personal stylist in Milan will show you how to wear a leather skirt in Spring. One of my favorite item, in fact is part of my personal uniform for my everyday looks, the midi leather skirt it’s so versatile and can give you that extra-wow to any outfit. Part of those simply essentials item, you need to have at least one in your closet. 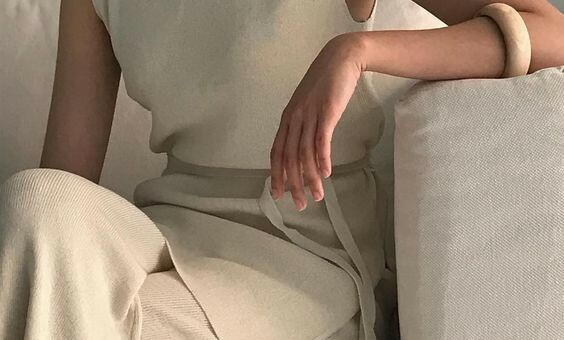 I wear it with neutral tees and sneakers when I go out just fo a cappuccino so a casual look works better or with stilettos and a silk shirt or a fashionable knit for meetings. There are rules to follow when you want to style a leather skirt in base of the length, shape and color. You need to create balance between the shapes in order to avoid adding weight to yourself or making appear shorter then you are. If the skirt is fuller or more A-line, go for fitted on top. If the skirt is fitted, go for flowier on top. If the skirt is long keep it simple on the top, if the skirt is short pay attention to the shoes you choose, you don’t want to look gross. Play with colors, if you wear a black leather skirt you can add neutrals or a statement tee, or a fantasy silk blouse. Instead if you need to style a taupe leather skirt, keep the color also for your top part of the outfit, it will give you know-time elegance and style. 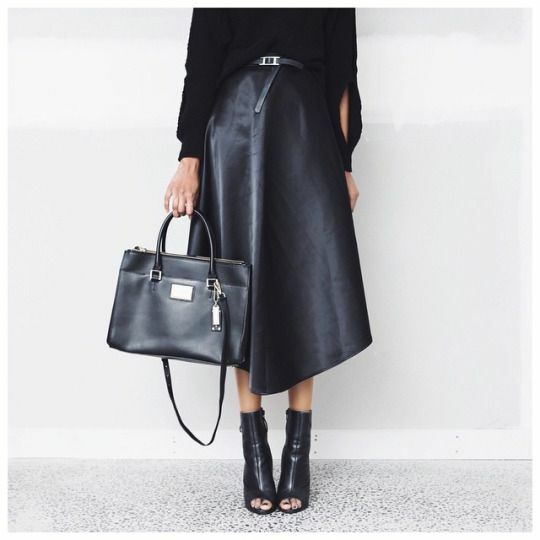 Now take a look at my favorite outfit leather skirts for some Inspo to try asap.